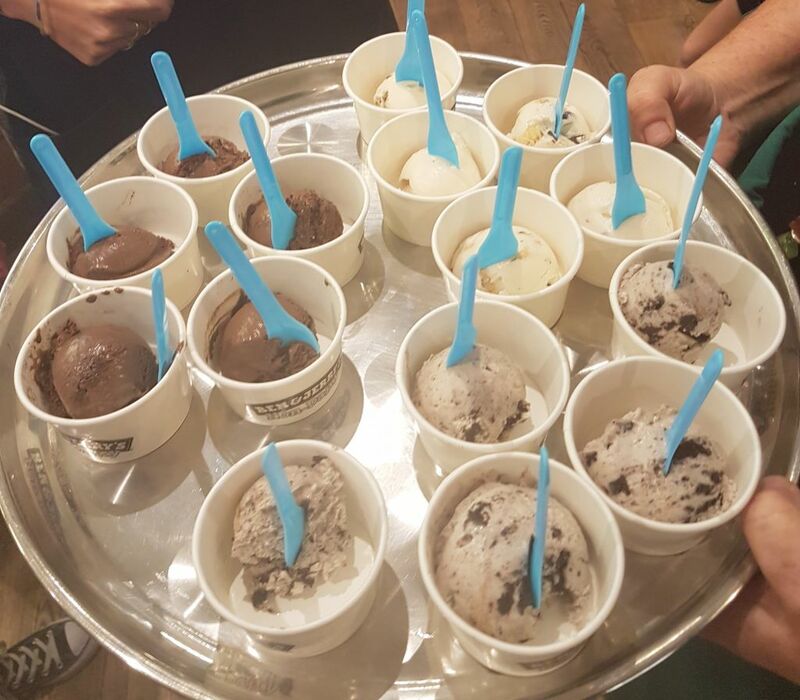 A few weeks ago I received a secret invitation to a secret event… by Ben and Jerry’s. Now, me being me, I made sure to ask whether there would be vegan food available, since, you know, I write a vegan blog! I was assured that yes, there would be, and from then on I had to keep my mouth shut while my tummy rumbled, and my brain tried to figure out which flavours would be launched. Roll on Wednesday 6th September 2017. The d-date…9am, and the news dropped via Ben and Jerry’s Twitter account. The Twittersphere went nuts! And likely so. I then spent the whole day at work dreaming of the event coming up that evening – I knew the flavours now, but what would they taste like, and where could I get them from?! A wonderful lady from Ben and Jerry’s flavour team explained to us what the past 4 years working on the project had meant to her. Yes, it took them 4 years to perfect this! This wasn’t some knee-jerk, throw it on the market cause vegan is trendy kind of thing. Nope. 4 years of planning, flavour and recipe development to make sure that a quality product was going to be hitting the shelves. If something didn’t taste just right and didn’t meet the brand identity and customer perception, it was re-developed or scrapped. Then it was time to give the non-dairy ice cream a try! So which flavours were able to be developed well enough to be released as vegan friendly, non-dairy options for the UK market? There are 3 flavours released initially, but a little birdie has told me that there may be a few new flavours in the future. Now, I wasn’t really into Chunky Monkey when I was not vegan. I wasn’t too into nuts, but this, this I loved. I love walnuts, and bananas, and more importantly, chocolate, so I was excited to give this a try. The vegan chunky monkey is a combo of banana ice cream, walnuts, and dark chocolate chunks. This ice cream contains banana puree instead of banana flavouring, which makes me happy – the banana flavour tastes more like actual, ripe bananas, and not banana antibiotics!! I’ve never been keen on peanut butter, or peanut flavoured things, so I was a little wary of this one, I must say! However, I enjoyed Ben & Jerry’s Non-Dairy peanut butter cookie ice cream. It’s a great combo of cookies and cream ice cream (think, Oreos), combined with swirls of crunchy peanut butter. These two elements really work together. And for those of you who are mad keen on peanut butter, meet your new favourite ice cream! This was my favourite, it must be said! I used to absolutely love Ben & Jerry’s chocolate fudge brownie ice cream when I wasn’t vegan, and this brings it all back. Really delicious, fudgy, vegan brownie from Ben & Jerry’s brownie supplier Greyston Bakery, combined with chocolate ice cream. Heck yes. THIS (Ben & Jerry’s non dairy chocolate fudge brownie) MAKES ME HAPPY! And did you know that Greyston Bakery, who supply the brownies, is a leading social enterprise? It’s founded by Bernie Glassman, a zen buddhist, and he set the company up to help individuals in the South Yonkers area of New York to give them the experience, resources, and skills to lift them out of poverty. They offer an olive branch to those who need help, regardless of background or work history, including those who have served in prison. 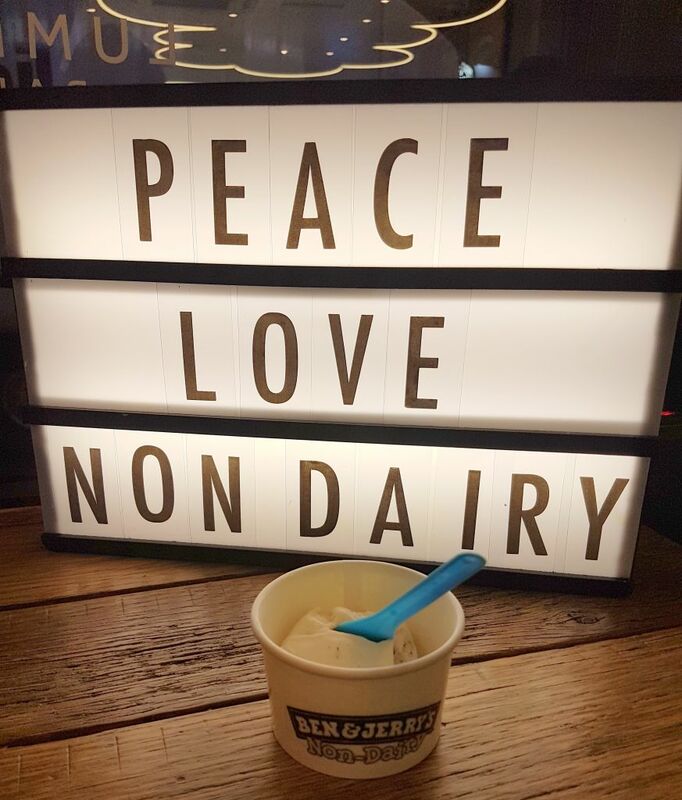 Ben and Jerry’s non-dairy, vegan ice cream is made with almonds, rather than soy. It’s certified as vegan by Vegan Action in the US, but not currently by The Vegan Society here in the UK. 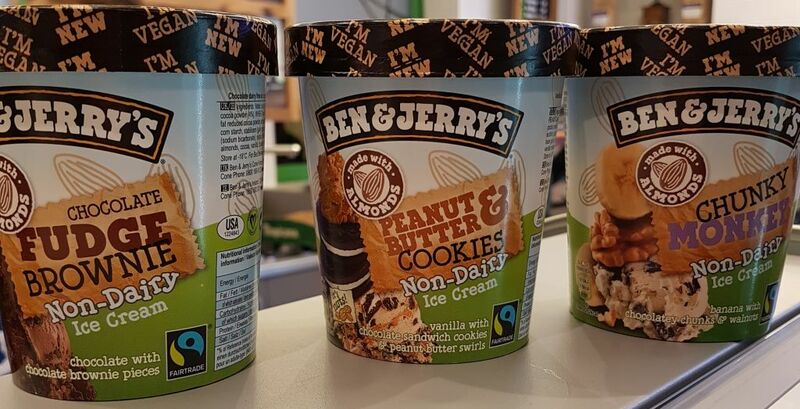 Non-dairy Ben and Jerry’s is currently available to buy in Tesco stores, with the range rolling out to other supermarkets from September 2017 onwards. 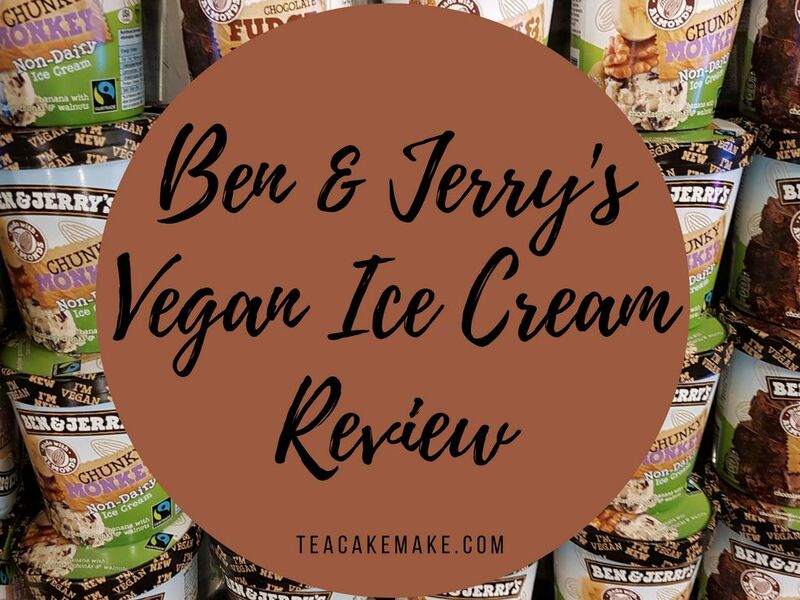 Have you tried Ben & Jerry’s vegan ice cream range yet? Which vegan friendly flavours would you like to see released next? Can you imagine a vegan Phish food? That would be amazing. It was one of my absolute faves before I went vegan! I read about this on Twitter and got really excited too! I’m not vegan but my sister is allergic to dairy and I try not to eat too much of it either. I really want to try that chocolate brownie one! 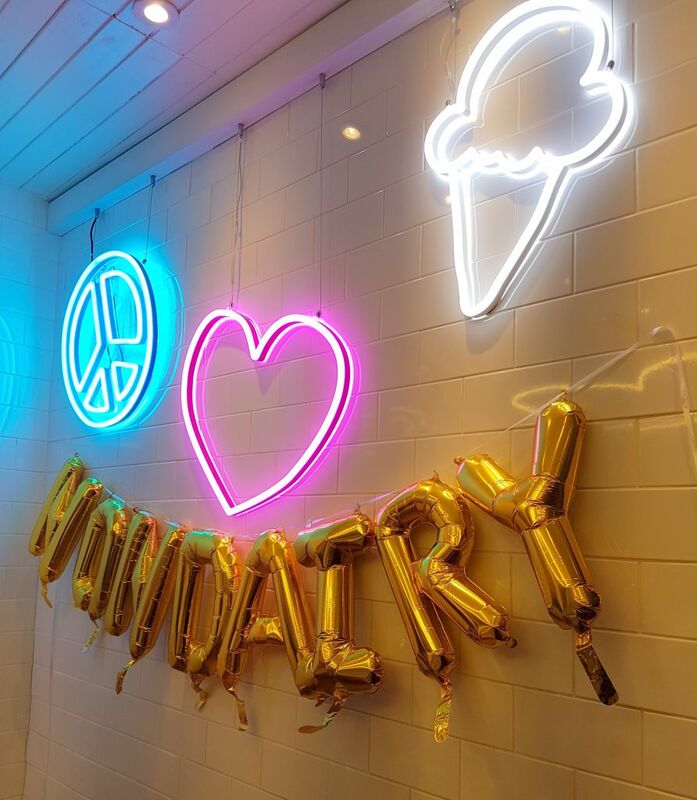 The event sounds amazing – who wouldn’t love an evening filled with ice cream?! 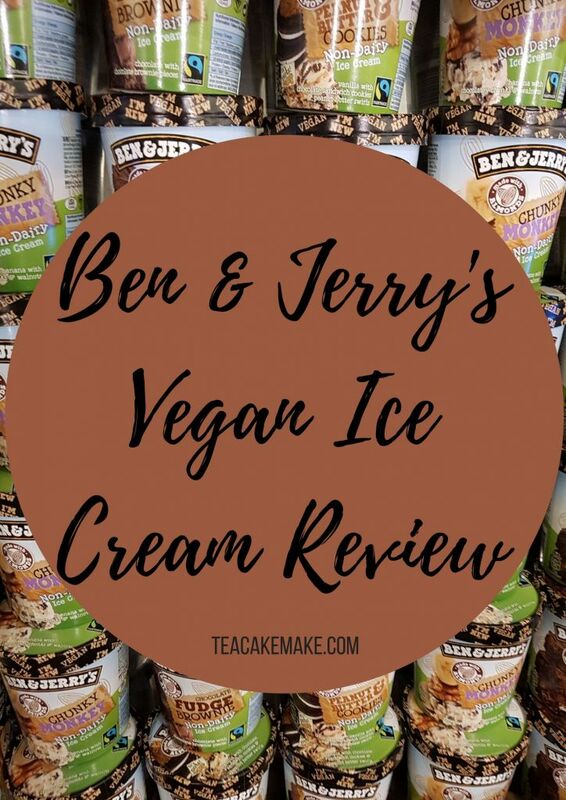 Awwww I am SO insanely excited to try vegan ben & jerrys!! although I would absolutely love a vegan version of phishfood, because that was always my ultimate favourite! You’re so lucky you were invited to this, that’s amazing! Dairy free Phish Food would be the dream. I am so excited to get my hands on these. Previous Post Rose and Grants – A Glasgow Must Visit – Especially for Vegans!